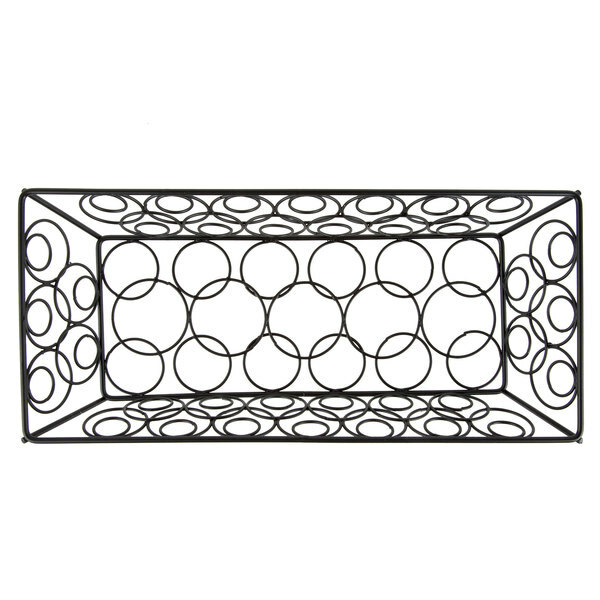 American Metalcraft LDLB2613 Black Loop-D-Loop Rectangular Basket - 13" x 6" x 2 3/4"
This American Metalcraft LDLB2613 black loop-d-loop basket creates geometrically styled, dynamic display options for your food service operation! 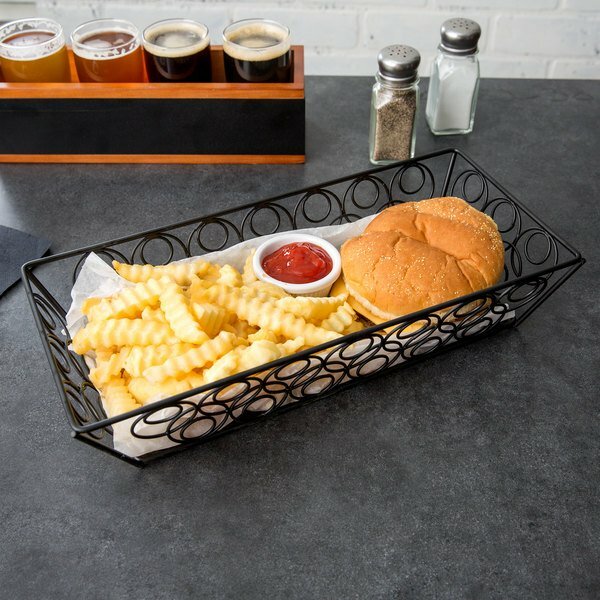 With an eye-catching black finish and interlocking loop design, the loop-d-loop basket is great for creating a sleek, modern look at your restaurant. The wide wire basket allows you to be creative and versatile when serving appetizers or snacks, and the sleek, black finish adds to your tabletop display. Increase impulse sales during checkout by displaying small items like candy or baked goods by your register. 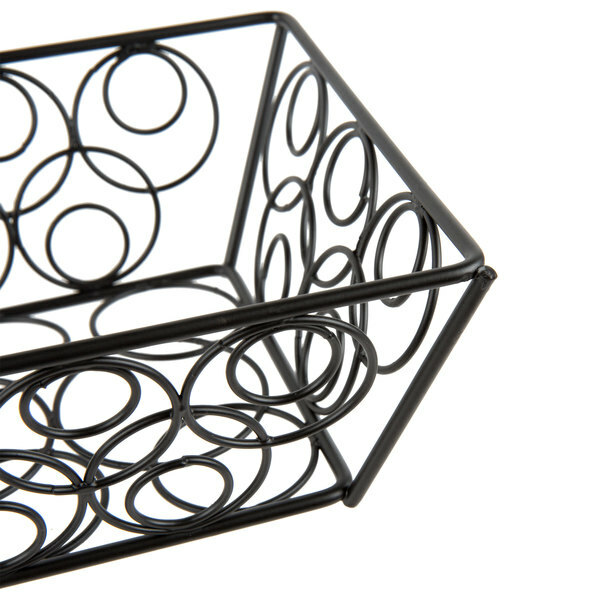 This basket is ideal for serving fried appetizers and snacks such as french fries, onion rings, and mozzarella sticks. It can also be used to present your fresh baked breads or sweet desserts. 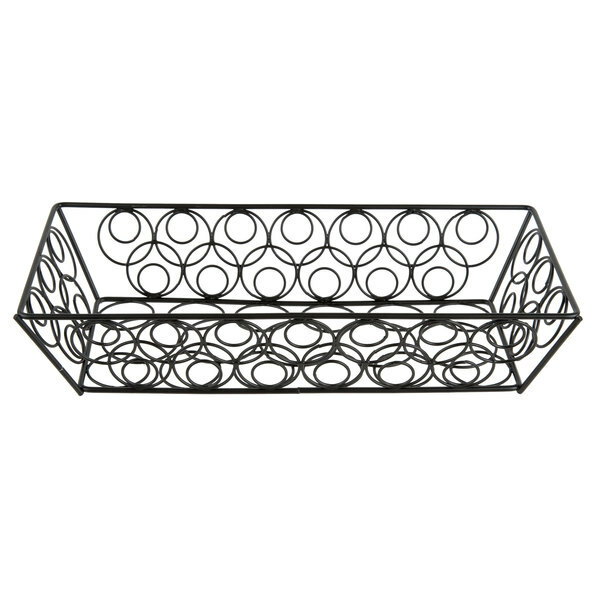 Use this basket at your bar or restaurant to serve your best sides and snacks in style! 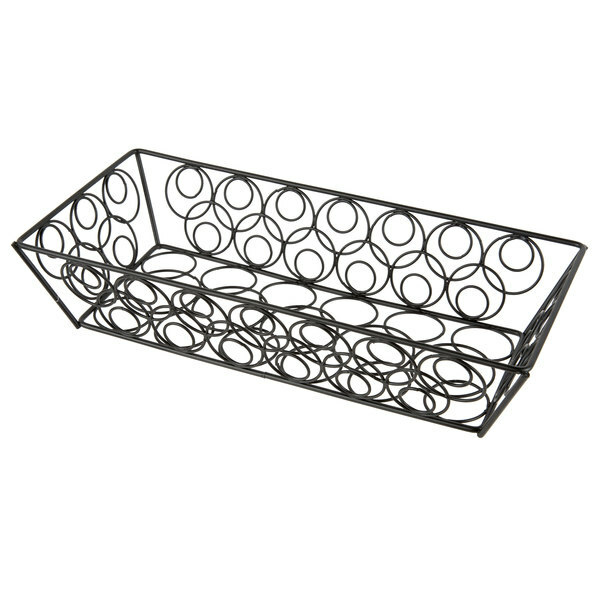 American Metalcraft LDLC1362 Loop-D-Loop Rectangular Basket Chrome - 13" x 6" x 2 3/4"
American Metalcraft EBB95C Chrome Loop-D-Loop Rectangular Basket - 9" x 6" x 2 1/2"
American Metalcraft EBB59B Black Loop-D-Loop Rectangular Basket - 9" x 6" x 2 1/2"
Overall User Rating: American Metalcraft LDLB2613 Black Loop-D-Loop Rectangular Basket - 13" x 6" x 2 3/4"
Strong piece we use to set out forks and knives in. We layer it with a linen napkin and they set in there really nice. 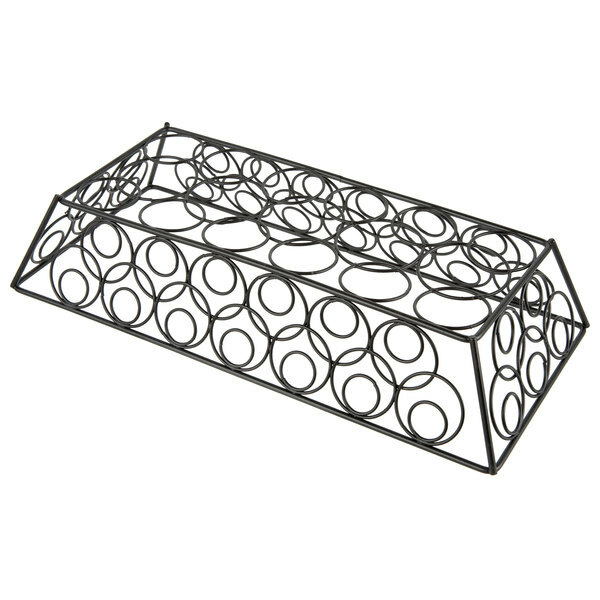 American Metalcraft rectangular baskets are sleek and well made, would make a good addition to any restaurant, deli or cafe. They are the perfect size for nachos, burgers and fries or a sandwich and chips. Great price too!